Ten days before receiving Botox injections, you’ll be asked to refrain from taking aspirin, ibuprofen, and vitamin E. These products may increase your risk of bruising. A consultation beforehand will determine your particular needs. You’ll also receive a topical numbing gel 15 minutes before your treatment. The Botox treatment itself is quick and mostly free of discomfort. Your facial muscles will receive six to eight injections. Clients have reported the feeling as being similar to a vaccination: a few seconds of mild discomfort as the Botox enters the treatment sites. These sites may look red and feel irritated for a few hours afterward. After the injections, you’ll be asked to frown, raise your eyebrows, smile, and pucker your lips. 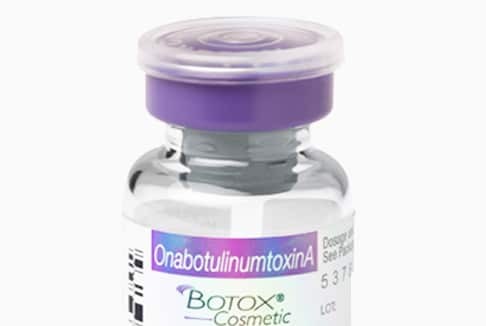 This helps to distribute the Botox evenly throughout the treatment sites. Your physician will ask you to refrain from exercise, bending, lying down, and rubbing treated areas for the first 24 to 48 hours following your treatment. This helps the Botox settle in the right place and keeps it from migrating elsewhere. Migration could cause your face to become paralyzed or your eyelids to droop. Botox offers real, noticeable results. Full effects usually appear in five to seven days. In two weeks they’ll look their best. After four to six months it’ll be time for another treatment. Botox not only treats existing wrinkles. It also prevents new wrinkles from forming. Botox is most effective on wrinkles that haven’t quite set in, and it reduces the onset of wrinkles before they become moderate or severe. By combining a Botox regimen with good skin care, sunscreen, and a healthy lifestyle, you can prevent most wrinkles from getting worse and prevent new ones from forming. A neurotoxin, Botox attaches itself to nerve endings. This blocks the release of acetylcholine, a neurotransmitter that’s responsible for triggering your facial muscles’ contractions. Your facial muscles relax, and the line and wrinkles in the skin above them smooth away. Botox effectively and instantly treats the wrinkles that appear whenever you frown or make other facial expressions. Known as dynamic wrinkles, they don’t respond to dermabrasion and chemical peels. Botox fits your active lifestyle. There’s no downtime associated with it. 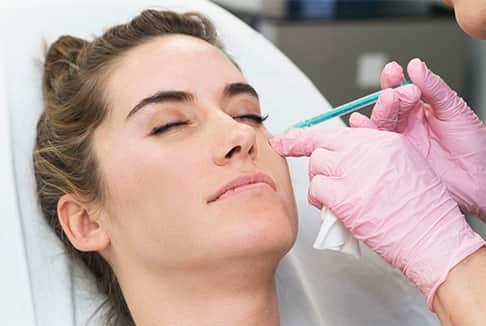 Dermabrasion and chemical peels, on the other hand, require up to 10 days of recovery time. Botox acts fast. It usually takes only a few days to work as it begins to settle in the injection site. And its effects can last four to six months. You’ll need future treatments as your facial muscles begin to contract again and lines and wrinkles return. But Botox trains those muscles to relax. So over time, any lines and wrinkles will become less evident. Botox has been proven safe for most everyone. Anyone between the ages of 18 and 70 may consider it. Younger people tend to see the best results. Older people should consult a plastic surgeon or dermatologist to learn whether their skin tone is elastic enough to respond to treatment. 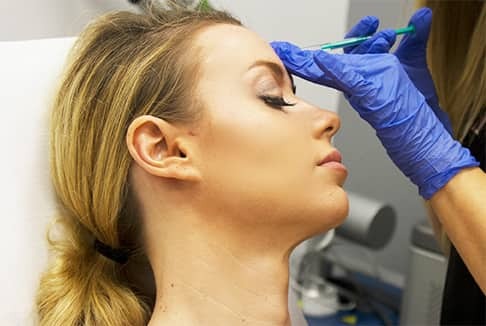 Rare side effects of Botox include temporary bruising, headaches that can last up to 48 hours, and drooping eyelids.